This is the top page of Wooden Tablet Database. Searches begin here. 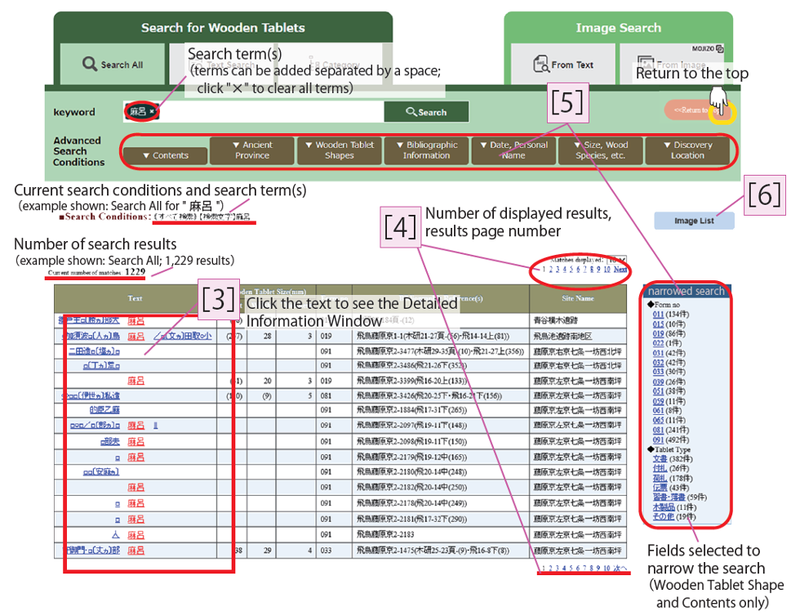 Regarding search methods, see Search Wooden Tablets and Search Character Images. Detailed information on each wooden tablet is displayed. For each category of data see the Explanatory Notes. 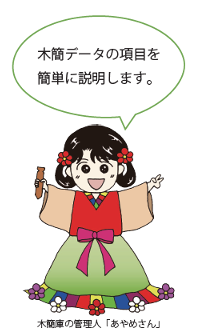 information or the related page within the Mokkan Hiroba web site. checkboxes or a map. 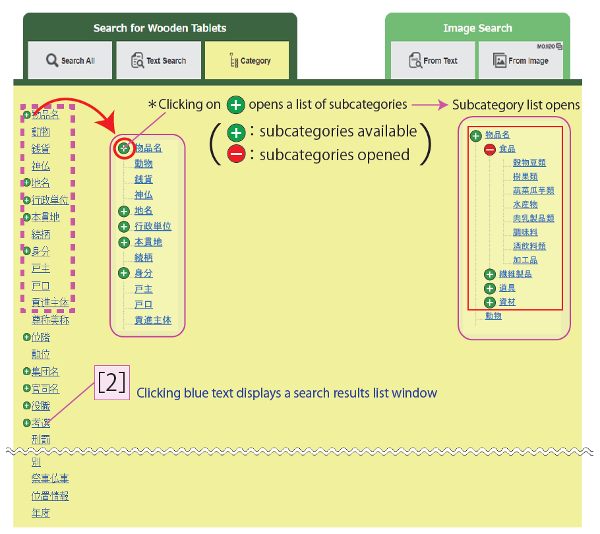 Multiple choices are possible for each, producing an OR search. 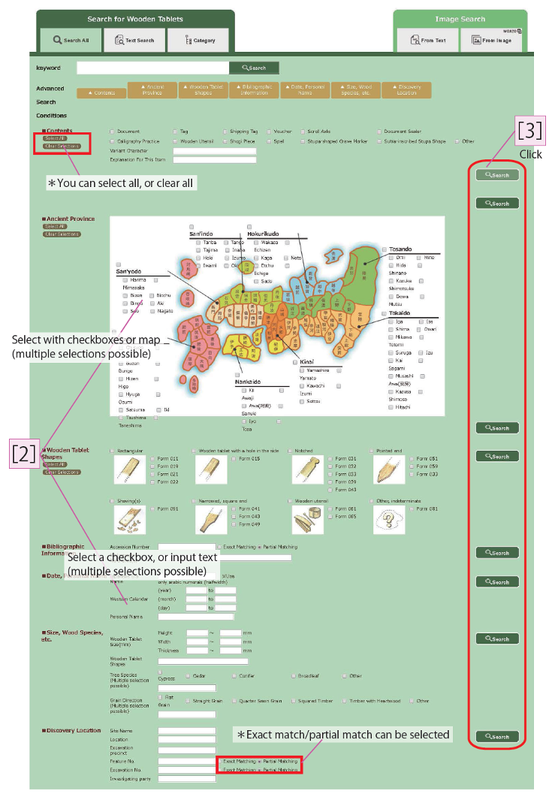 buton and a list of categories is displayed. Brief explanations are given below for each field. Please note that fields marked with an asterisk often contain no data. This is the URL assigned to the Detailed Information Window for each individual wooden tablet. The particular webpage can be accessed using this URL. When a tablet has been assigned a number in a site report, that number is given here. Otherwise the value is given as zero. In principle, characters are displayed in their currently used forms, although exceptions are made for characters such as 龍, 廣, 寶, 嶋, 籠, etc. Symbols used in transliterations of the text are given in the following table. End of line (line break). Start of a line in an indented portion of text. Start of a line in a doubly indented portion of text. 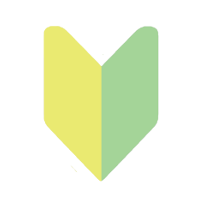 End of an indented or doubly indented portion of text. Break between the front and back (for tablets with writing on both sides). A single character of text determined as missing. A portion of missing text. Circles enclosed within the brackets indicate the number of characters inferred to be missing. A portion of missing text of indeterminate length. 〈Circles enclosed within the brackets indicate the number of characters estimated as missing based on length. At least one character has been determined as preceding (←) or following (→) the displayed text. At times the length of text inferred to be missing is indicated with dashes (-- →). A gap of indeterminate length within a line due to damage or loss to the tablet. A gap, or space with no writing, originally on the tablet (sometimes this indication is omitted). A character that has been rubbed off and is difficult to decipher. Text enclosed in these brackets runs in the opposite direction (i.e., upside-down) from the rest. Text enclosed in these brackets is written across (perpendicular to) the grain of the wood. A correction made by writing one character (shown here as A) over another (shown as B). This mark indicates the preceding character had been crossed out but is still legible as indicated. Text enclosed in these brackets is a postscript, or a portion written in a different hand. Text enclosed in these brackets is a separate postscript, or a portion written in a different hand. The enclosed is inferred to be the correct form of the text, or an explanation. The enclosed is the inferred content of missing text. The preceding inferred content is subject to some doubt. A check mark (not a character) written on the tablet. An incised line, possibly as a division. An inked line, possibly as a division. A circle or double circle, perhaps written as a check mark. A triangular mark written on the tablet. A hole perforated in the tablet. A sign, separate from a Sanskrit character or picture, thought to have magical significance. A mark used as a signature or trademark by a person, family, or enterprise. A character not found in the JIS code table. 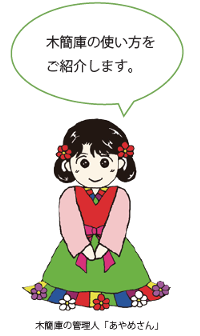 A single character (usage in transliterations not uniform in content). Dimensions are given in the three components of Length, Width, and Thickness (in milimeters). Length is in principle the lineal measure in the direction in which the characters are written. It includes data reported through such terms as "length," "long side" and other variants of the term "long," plus "height," "item height" and other variants of the term "height." Width includes data reported through terms including "width," "diameter," and also "external/internal dimensions." Thickness also includes data reported as "depth" (front to back). 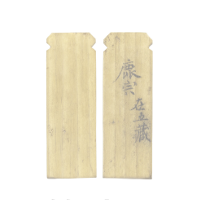 When a single wooden tablet is divided into multiple fragments, the dimensions of each fragment are given individually and separated as a set with a semicolon (in some cases the individual parts are labeled as "a," "b," etc.). Rectangular item with hole(s) opened on the side(s). Item with one square end. Small rectangular item with one end rounded or pointed. Rectangular item with notches on the left and right sides at both ends. Rectangular item with notches on the left and right sides at one end. Rectangular item with notches on the left and right sides at one end, and the other end pointed. Rectangular item with notches on the left and right sides at one end, but the original shape of the other lost through damage or rot. Rectangular item with one end made in the shape of a handle by narrowing both the left and right sides. Rectangular item with one end made in the shape of a handle by narrowing both the left and right sides, and with notches on the left and right sides. Rectangular item with one end made in the shape of a handle by narrowing both the left and right sides, but the original shape of the other lost through damage or rot. Rectangular item with one end pointed. Rectangular item with one end pointed, but the original shape of the other lost through damage or rot. Wooden implement with clearly recognizable use, which bears an ink inscription. 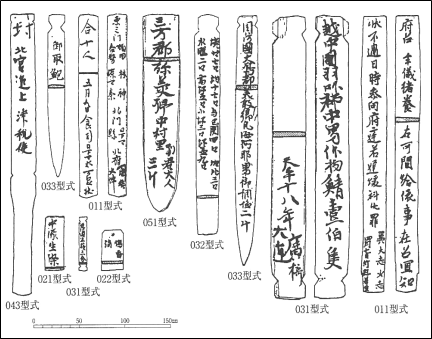 Wooden implement of unknown use, which bears an ink inscription. Item of an original shape unknown due to breaking, cutting, or rot. Bibliographic data for the report on the item. If a detailed report for the item appears after an initial general one, data given for the item's content are in principle those of the latter report with the earlier data deleted, and bibliographic data included for both reports. There are cases however where the contents of the general and detailed reports are included in separate records in overlapping fashion. 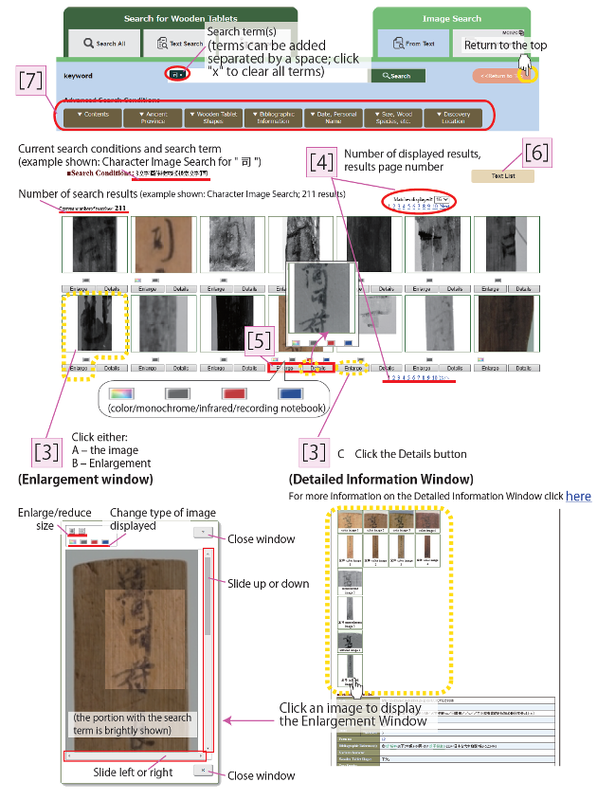 For items reported in the Proceedings of the Japanese Society for the Study of Wooden Documents as well as in general or detailed reports, multiple bibliographic references are given. Individual reports other than those mentioned above are not included until they are covered in the Proceeedings; hence the latter should be consulted for complete bibliographic data. When multiple transliterations have been published, efforts are made to include only the latest versions, but as there are cases where this has yet to be done or multiple entries for the same tablet, the sources or the investigative agencies should be cross-checked carefully. The sources currently covered in the database and their shortened references are given in the following table. (We regret that these data are available only in Japanese). Explanation provided for characters in the text of a wooden tablet which cannot be reproduced as a printed character (or symbol). In particular, characters not included in the UTF-8 character code are indicated as "〓," and explanations may be given in terms of the character's components (example: The character 〓 is 皿 written beneath 沈). Also, when notes are provided in a published report on a character's shape or written manner, that information is summarized. Explanations of the shapes of tablets, noting missing portions, etc. Also, the uses for the tablets are sometimes given. The type of tree used for the tablet. The following symbols are used: H = cypress; S = cedar; N = conifer; B = broadleaf; F = unclear, other. The manner in which the wood of the tablet was cut. The following symbols are used: I = flat grain; M = straight grain; F = unclear, other. Name of the site where the item was recovered. The site or location where the tablet was recovered. Name of the agency investigating the site where the item was recovered. Number of the excavation in which the item was recovered at the site. Please refer to the relevant bibliographic citation. Number of the feature from which the item was recovered at the site. Please refer to the relevant bibliographic citation for details. Designation of the excavation precinct from which the item was recovered at the site. Please refer to the relevant bibliographic citation. The classification based on the tablet contents. 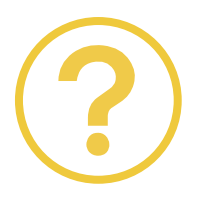 A question mark at the end denotes an inference. Place names written on tablets are entered using orthographic forms found in Ikebe Wataru’s Wamyō ruijushō gungōriekimei kōshō (hereafter Wamyō ruijushō) as much as possible. For indeterminate place names, or those for which multiple possibilities exist, these are listed successively with each candidate enclosed in parentheses; when one of the candidates is considered most probable it is listed first, without parentheses. When the name at the time the tablet was written differed from the form found in Wamyō ruijushō, the latter is written first, followed by the former enclosed in angle brackets: Wamyō ruijushō name 〈name in use at time of the tablet〉. Personal names written on tablets. Because they are listed exactly as written, often only a portion of the entire name is given. Indeterminate characters are enclosed in parentheses, and inferred names are enclosed with lenticular brackets (which look like this: 【】). Dates written on tablets are entered using Japanese era names for the years. Numbers have been transliterated into Arabic numerals. Western calendar years corresponding to years given in Japanese era names are entered, using Arabic numberals. Explanation of the form or contents of a tablet. Research literature dealing with the wooden tablet that has been searched is listed. As bibliographic data, the title, author, journal, volume/issue, and year of publication are displayed. For the journal, in principle only the initial report for the item is displayed. However, for monographs in which an item is secondarily reported with corrections or re-editing of the initial data, these are given precedence, and the relevant chapter title is displayed. Accordingly, in some cases multiple links to literature exist, and in the Comments column notes such as "Previous two reports are corrected" or "Section X only is previously published, the remainder is new content," indicating the situation of revision of data as far as can be ascertained. 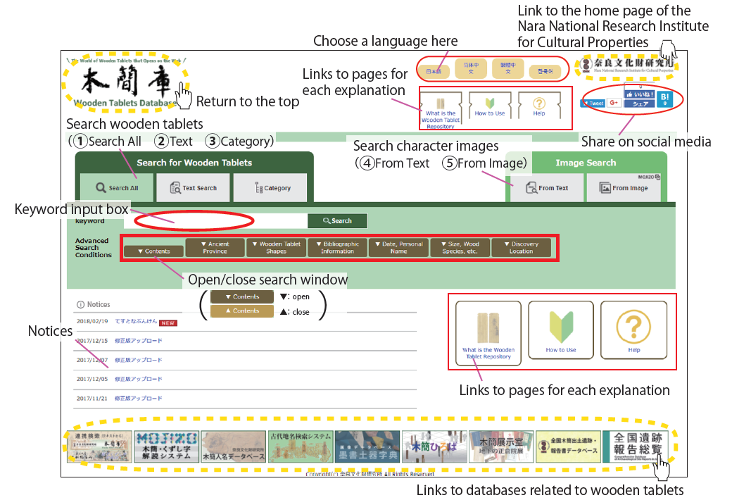 Also, links are displayed to other databases (Oguchi Masashi's "Ancient Japanese Historical Research Literature Inventory Database" of the Hosei University Research Center for International Japanese Studies, and the National Institute of Informatics CiNii [Scholarly and Academic Information Navigator]). 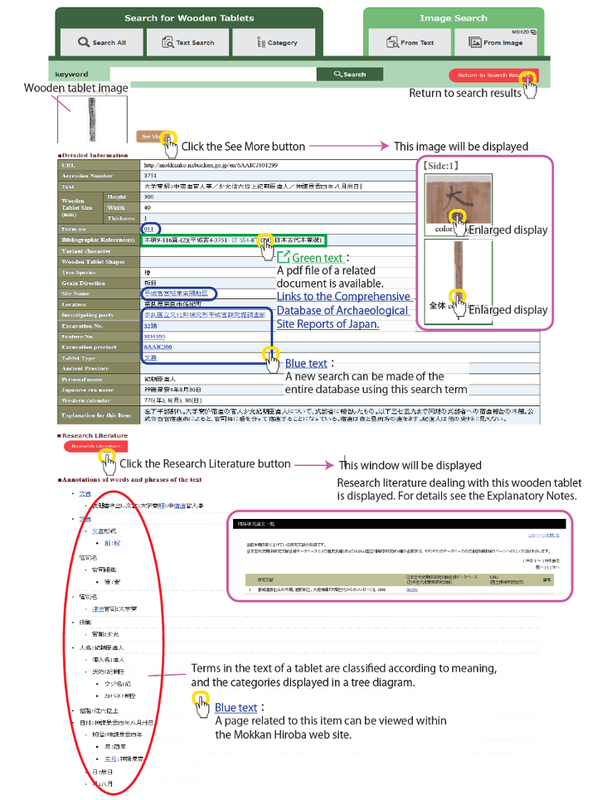 ※For the time being, coverage is limited to articles appearing in the journal Proceedings of the Japanese Society for the Study of Wooden Documents, but augmenting the data for other research literature on a periodic basis is planned for the future. This tree diagram shows the results of semantic classification of the terms in the text.Semantic classifications consist of three levels, and each term is marked with a tag (category or subcategory label). 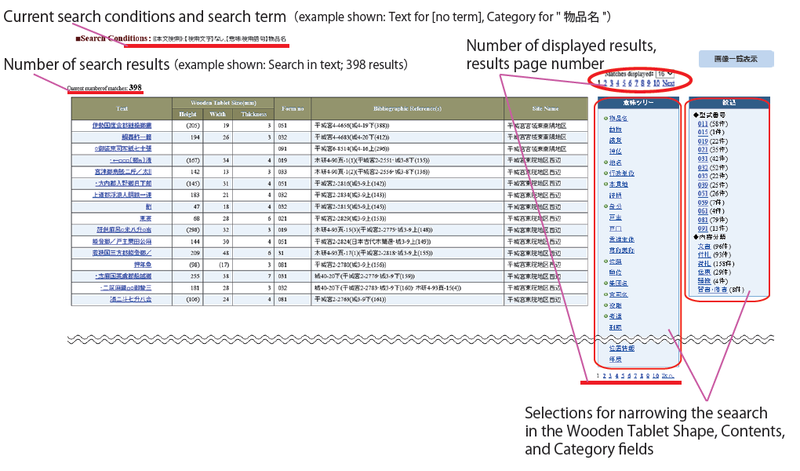 Tags often used in wooden tablets are linked with explanations in the glossary of the Mokkan Hiroba web site. These tags are the list of terms for a Category search.